Our January Mom of the Month is someone we all know and love, Susan Eckhardt! 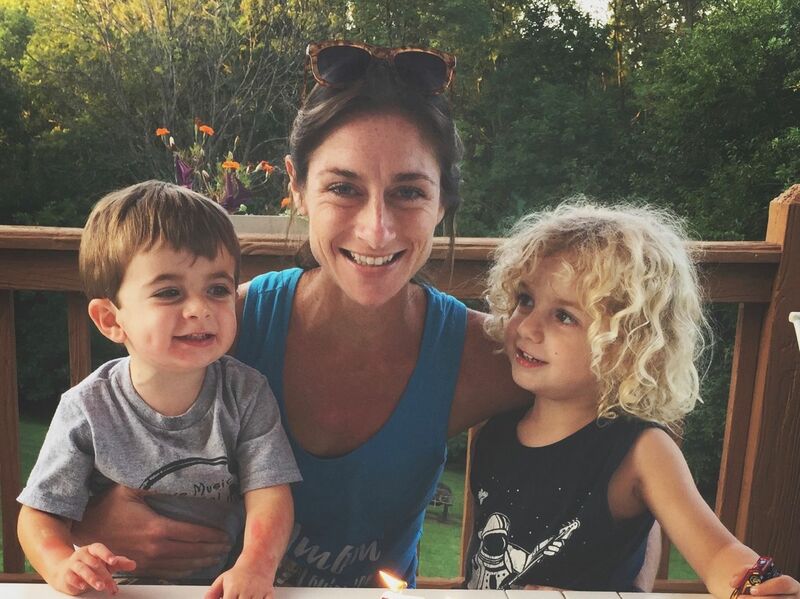 Susan is wife to Josh and mommy to two handsome boys, Elijah (5) and Luca (3). She is also a longtime FIT4MOM Lou instructor and was our very first BOOST instructor! Her classes at House of Boom are amazing. They are challenging and always different. She comes up with the craziest moves that always leave us feeling SO strong. Susan is an amazing Mom. She's patient, laid back and all around just super cool. Not only is she a rock star mom but she's also an amazing friend and all around awesome person. Susan is beautiful inside and out and we are so thankful she picked US to be her tribe. Not only that, but we are blessed to have her as a part of the FIT4MOM Louisville, Team! We love you Suz!! Proudest moment: Finishing the KDF marathon this past spring. Something that would surprise us: Before buying a minivan to tote the growing family around, Susan traveled New Zealand for a few months in a converted camper mini van. What is the farthest you have been away from home? Australia. What does motherhood mean to you? To be humble, because some days you’ll feel like you have it all figured out. And some days you’ll feel like you’re doing it all wrong. Embracing the craziness and living in the small moments- because those messy & sometimes mundane moments are what turn into memories. How did you find FIT4MOM? I knew one person when moving to Louisville so I tried to “pick up” other moms at the park. It felt like dating all over again. I saw a group of moms jogging past and immediately did an internet search for mom fitness groups. That’s when I found my tribe! How has FIT4MOM changed your life? Total game changer! Helped me mentally and physically improve my health. Also I found a job that I LOVE! What makes you proud of your mom? Making good choices & being a good mommy.